The Pamoyo cocktail is great for parties – it’s a simple “one part this, one part that” kind of recipe, so you can mix up a whole pitcher, chill it and pour as you go. Or if you want one on the fly, just mix it the usual way in a cocktail shaker. 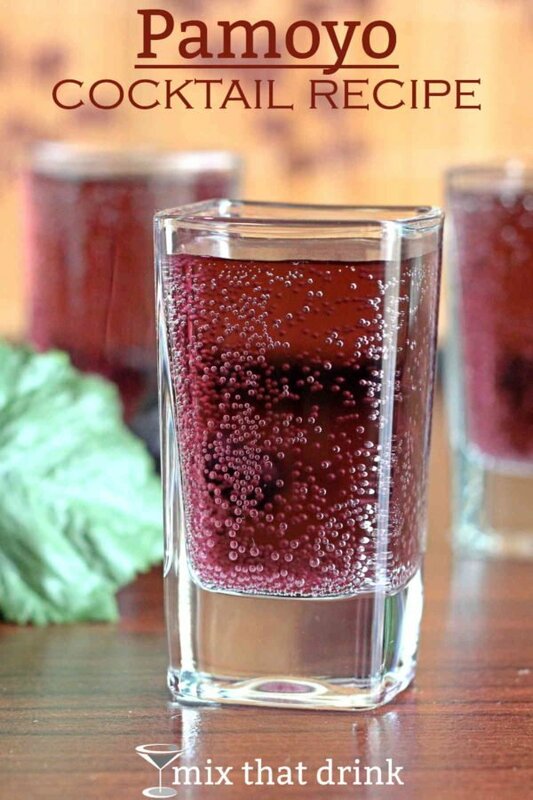 However you fix it, this drink blends gin with Sprite and grape juice. It’s kind of an oddly addictive combo because you get the sweetness of the grape juice contrasting with those citrus and herbal notes. You can pre-mix a big batch of this drink in a pitcher or beverage server. As long as you leave it in the fridge until time to serve, the Sprite won’t go flat. It’s also easy to pour this drink one shot at a time, because you just pour each ingredient into a glass. No shaking, no stirring. And if you premix it, it’s even easier. You can top off guest’s glasses as needed. Or guests can serve themselves, which makes being the host a little easier. If you’re thinking about serving it with food, go for something savory and green, like this mild sauteed kale from My Nourished Home. Or this spinach salad with candied pecans and dried cranberries from Melanie Cooks. 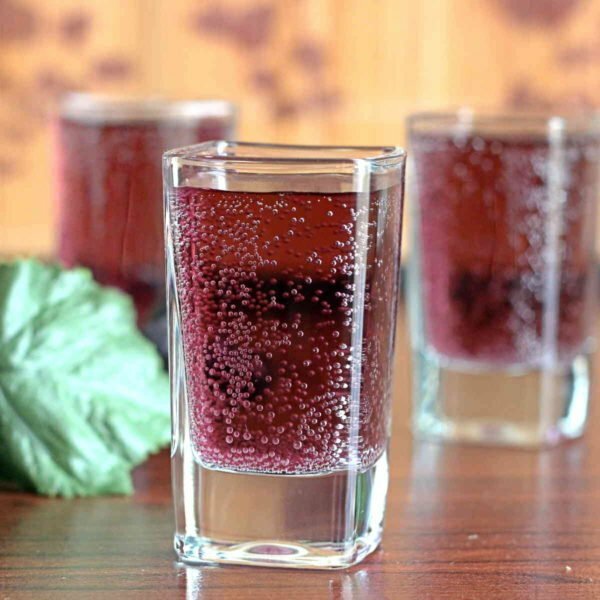 This drink is traditionally served as a shot, but you can make it any size you want. That’s why I like to make it up in a pitcher. You can just pour however much you want into whatever size glass you want. 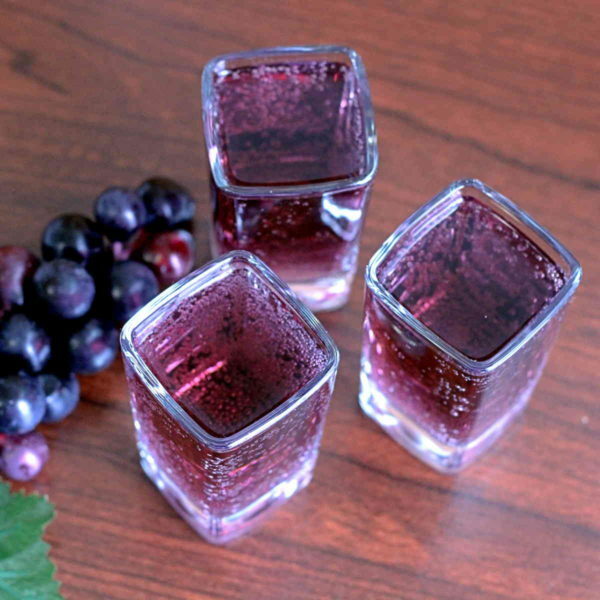 Even with no sugar added, grape juice contains a ton of sugar. You may find you like this drink better with Diet Sprite, to cut through some of that sugar. Pour the ingredients into a shot glass, in order.